Movies are definitely one of the best entertaining past times there is. This is an industry that will continue to thrive for years and years. I love how film can pull so much emotion out of you – they have the ability to make you laugh, cry, scream, contemplate, shock etc. Not only is what you see during a movie powerful, but it’s what you hear that really moves your emotions and at times can give you goosebumps. Without music, movies would be rather dull and plain. Film wouldn’t have as much pull and draw on you without it. Would Jaws be as scary without its terrifying theme music? Would Star Wars or Superman have such a patriotic and emotional draw? 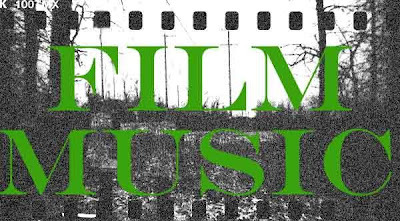 Music is essential in film and probably one of the most important key elements there is. I decided to make a list of some of my all-time favorite film scores and by doing so, I realized right away just how difficult this was. How does one choose only ten? It’s like trying to order at Taco Bell when you’re starving. There’s just too much goodness out there. However, I think I did a pretty good job. I picked film scores that have emotionally moved me in such a way that I will never forget the melody as long as I live. With that being said, here are my top 10 favorite film scores of all-time (and in no particular order). "It’s like trying to order at Taco Bell when you’re starving. There’s just too much goodness out there." LOL!!! That was friggin hilarious (and so true). You totally just made my day!